1130: buy a ticket for the pink bus. Double decker to go around to the sites. Not feeling too jet lagged, so this is a good thing. Worried about recent changes to the Syrian refugee crisis and find myself in nearly constant prayer about it. Where will this journey take me? Where will it take the refugees? Are we, as a world community, drifting further and further from humanity? So, after writing this I end up getting off bus at the Colosseum and then Vatican City. I wasn’t going to get off at Vatican City, but I did. 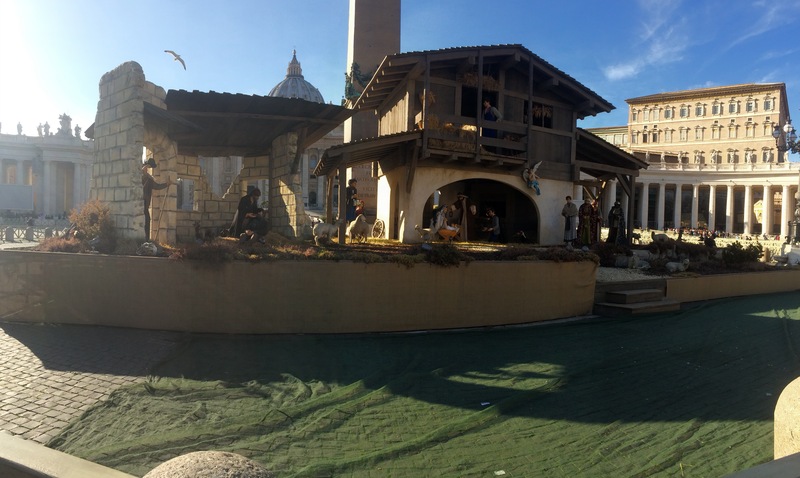 After walking through St. Peter’s Basilica I walked towards the nativity scene and stopped to read a poster that said (I can’t upload pics for some reason): Edited: it finally let me!! I started crying. Openly. In the middle of the square, where thousands stand to hear the pope give mass. 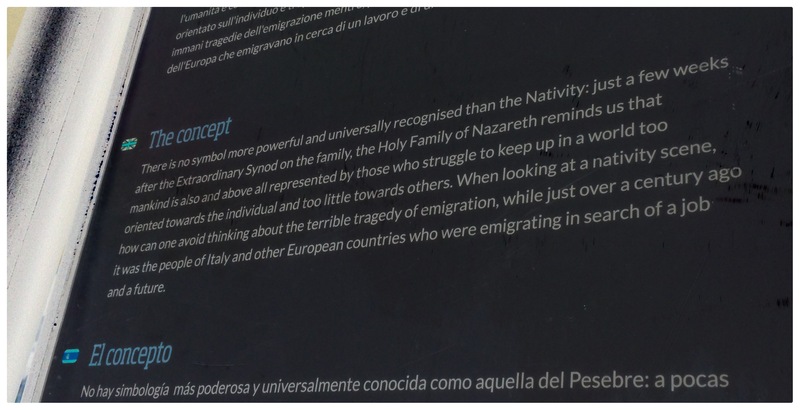 I then spent about 10 minutes reflecting on what the nativity and immigration mean to me. My family immigrated from Italy to the US about 100 years ago. I stood back to take a pano (that I’m not able to post) and I noticed the priest standing at the far right of the photo. I asked him what he was thinking. And he told me he was thinking about all the pilgrims that came before him to this spot and the rich history. He asked me why I had been crying and I told him about the poster by the nativity and that I was enroute to Greece to help the refugees and how my heart breaks from the fear and hatred of immigrants of all sorts in my country. He took my hands and prayed. For me, for the refugees and for peace in our world. Of course I cried some more. I’m glad I got off the bus. 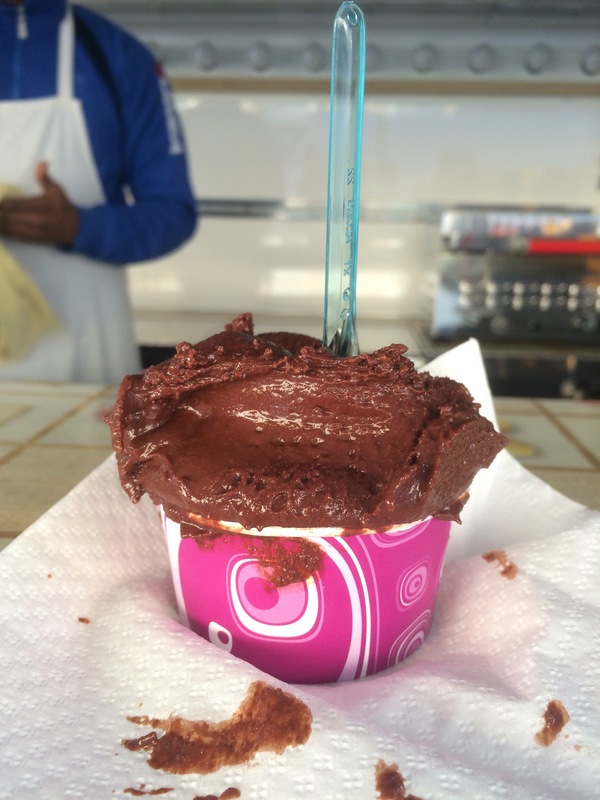 I then had gelato, my friend Dottie says it makes everything better. And it did. Dinner and then an early bed time, as I’m flying to Greece in the morning.